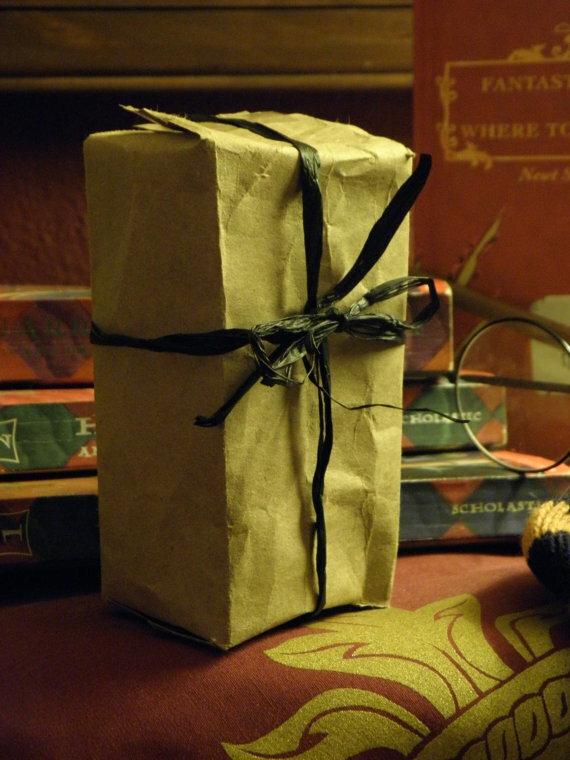 Packaged in this brown paper present is an tiny work of bubbly art! Did you ever find it strange that, while Hogwarts was chock full of talking portraits, there weren't any busts around? I mean, what self-respecting age-old institution doesn't have a few sculpted heads laying about in drafty, unused corners? 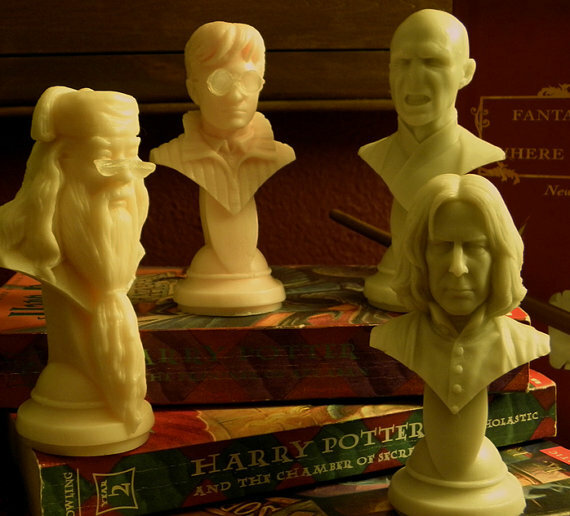 Anyhow, if the School of Witchcraft and Wizardry did have busts, they would undoubtedly still not be as cool or as intricate as these tiny replicas of Harry Potter figures made out of soap from By Durdins Hammer. Yes, soap. And they're so well done, you probably won't want to soil the busts with your grimy hands. 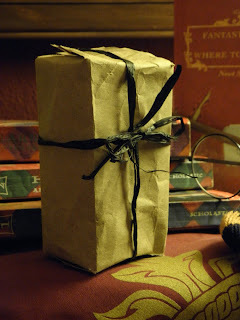 Amortentia potion (light pink with silver flecks): hints of timber (broomstick handle), lemon, brown sugar, shortbread (Treacle tart), with a base of gardenia and lily, or rather “something flowery that he thought he might have smelled at the burrow” (Ginny Weasley’s hair). Butter beer (cream color with gold flecks): A sweet sugary scent with hints of rum, vanilla, brown sugar and butter. Pumpkin juice (sage green with gold): a warm and comforting blend of pumpkin spices, apple cider, orange, clove, chestnut and brown sugar. Dumbledore’s Lemon Drops (pale yellow): A bright and sugary scent, with notes of Italian lemon, lemon grass, vanilla sugar and marshmallow! The set of four is available for $25 or may be purchased individually for $7 each. These are going to make great gifts! Thanks! You're welcome! Someone told me there was, in fact, a talking bust in the books but I can't remember one. Do you know, D?